Dr. Hayes accepts the following list of insurance providers. Select your insurance provider to see more details. I am a fellowship-trained diagnostic radiologist specializing in oncologic body imaging, with a special interest in the imaging of thoracic malignancies. I am experienced in the interpretation of body CT, MRI and ultrasound. At Memorial Sloan Kettering Cancer Center I am a member of the Disease Management Team for thoracic and soft tissue tumors. I also work as part of our lung cancer screening team. I work closely with our oncologists and surgeons in a multi-disciplinary environment to help with the diagnosis and treatment of oncology patients. 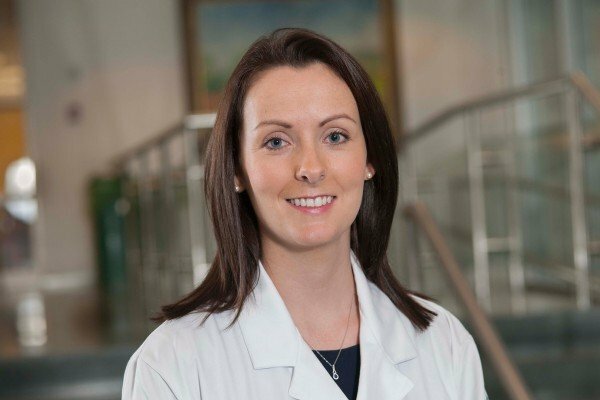 In addition to my clinical duties, my current research interests include evolving multimodality imaging techniques for mediastinal tumors, as well as lung cancer screening and diagnosis. I am actively involved in the interpretation of radiologic studies from patients enrolled in clinical trials to monitor treatment response. S.H. McEvoy, D.F. Halpenny, A. Viteri-Jusué, S.A. Hayes, A.J. Plodkowski, G.J. Riely, M.S. Ginsberg. Investigation of patterns of nodal metastases in BRAF mutant lung cancer, Lung Cancer, Volume 108, June 2017, Pages 62-65. Visit PubMed for a full listing of Dr. Hayes’s journal articles. Pubmed is an online index of research papers and other articles from the US National Library of Medicine and the National Institutes of Health.